Artistic director of the Tampere Philharmonic Orchestra since 2009, Hannu Lintu has rapidly been creating an international career and is a sought-after conductor. From 2013 onward he will assume the post of chief conductor of the Finnish RSO. 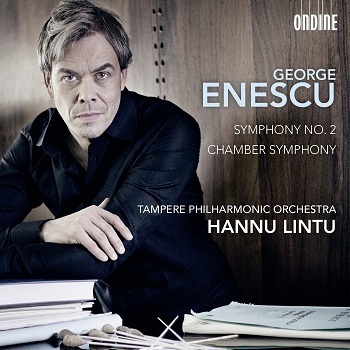 This release will be the first of an Enescu cycle with Hannu Lintu. Two more - featuring, among others, symphonies no. 1 and 3 - will follow 2013 and 2014.